Bloom Magic deliver throughout many locations all across Ireland, including Waterford. Our selection of lavish bouquets were carefully designed by the country’s best florists – exclusively for Bloom Magic. Not only do we have various classic arrangements for flower delivery in Waterford that have stood the test of time, we also have an arrangement of colourful and whimsical displays created specially to delight. Every item in our online catalogue has been artfully crafted to suit any and every desire and taste. We offer next-day flower delivery to Waterford, provided your flowers were ordered by 3pm the previous day. You can also order your flowers for delivery to Waterford a few days or even weeks in advance, simply pick the date that suits you during checkout. Flower deliveries to Waterford are charged at our standard rate of €6. If you plan on using our services more than once, then consider signing up to our Gold Club which gives you twelve months of free delivery for only €15. 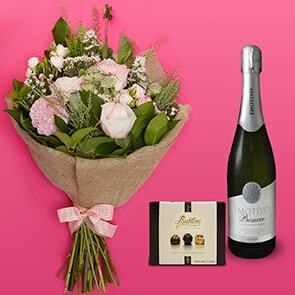 We have designed an extensive range for flower delivery to Waterford to suit every occasion and celebration. Want to wish someone a Happy Birthday? Send a vibrant bouquet of fresh-cut flowers like our Baltimore Breeze bouquet. Combining the classic combination of seasonal purple and orange flowers, this beautiful bouquet is guaranteed to brighten up someone’s birthday. Make it extra special and add our elegant hourglass vase for an unforgettable present. Welcome a new bundle of joy into this world with a New Baby flower delivery! At Bloom Magic, we feel the arrival of a new baby is cause for major celebration. Browse our New Baby bouquets to find the perfect fit for the new parents. Not only do we deliver to residencies and offices in Waterford, we can deliver directly to hospitals as well. Our gorgeous Aphrodite Bouquet features powdery and hot pink flowers for an elegant and feminine touch, it’s exceptionally suited to welcome a little girl into the family. Did the happy parents add a little boy to their brood? 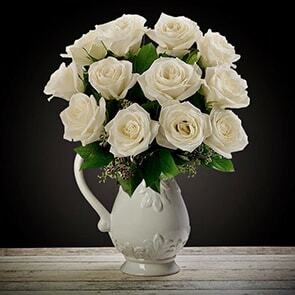 Send them our Lost In Cloud flower arrangement, featuring sky blue and pure white seasonal flowers. 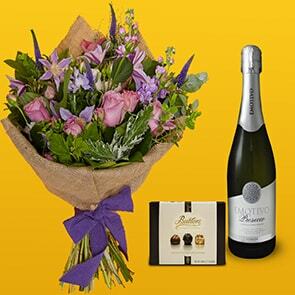 Flower delivery to Waterford includes the following areas: Abbeyside, Affane, Aglish, Annestown, An Rinn, Ardmore, Ballinacourty, Ballinameela, Ballinamult, Ballinroad, Ballybeg, Ballybricken, Ballyduff Lower, Ballyduff Upper, Ballydurn, Ballygunner, Ballylaneen, Ballymacarbry, Ballymacart, Ballynaneashagh, Ballysaggart, Ballytruckle, Bilberry, Bunmahon, Butlerstown, Cappoquin, Carrickbeg, Carriglea, Cheekpoint, Clashmore, Clonea-Power, Clonea Strand, Colligan, Coolnasmear, Crooke, Dungarvan, Dunhill, Dunmore East, Dunhill, Faha, Faithlegg, Fenor, Ferrybank, Fews, Fourmilewater, Glencairn, Grange, Helvick Head, Kilbrien, Kilgobinet, Kill, Killea, Kilmacthomas, Kilmanahan, Kilmeaden, Kilrossanty, Kilwatermoy, Kinsalebeg, Knockanore, Lemybrien, Lisduggan, Lismore, Mahon Bridge, Mine Head, Modeligo, Mothel, Mount Congreve, Mount Mellaray, Newtown, Old Parish, Passage East, Portlaw, Rathgormack, Sliabh gCua, Stradbally, Tallow, Tramore, Touraneena, Tourin, Tycor, Waterford, Whitechurch, Whiting Bay, Woodstown and Villierstown. .